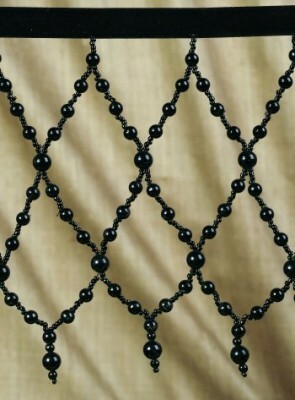 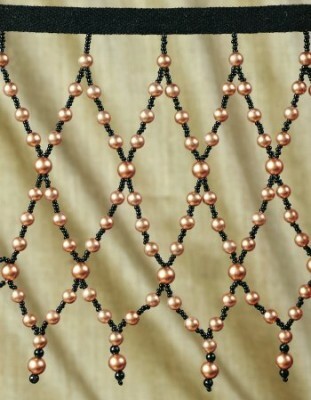 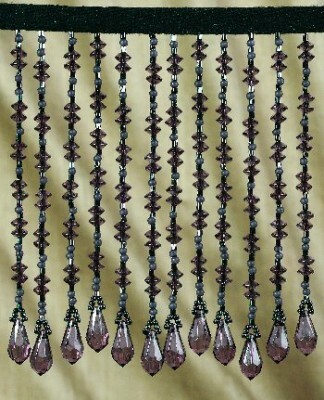 D’Kei offers one of the most extensive collections of beaded trim available to the designer market. 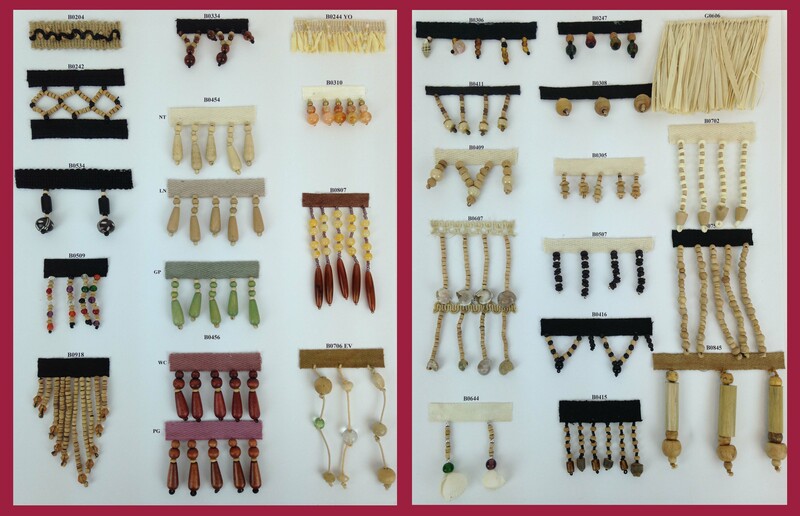 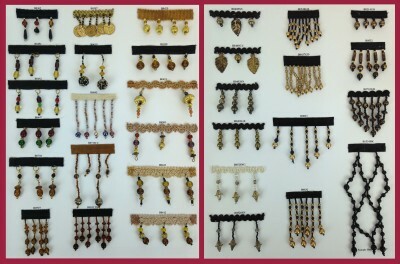 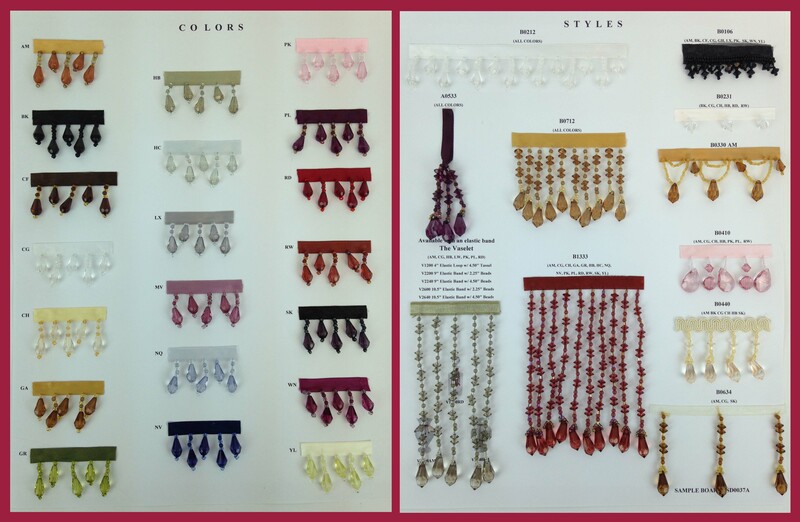 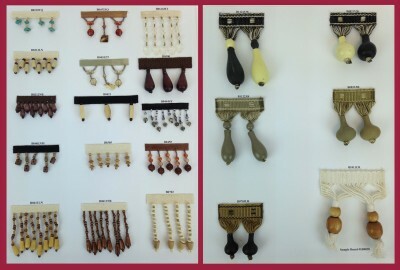 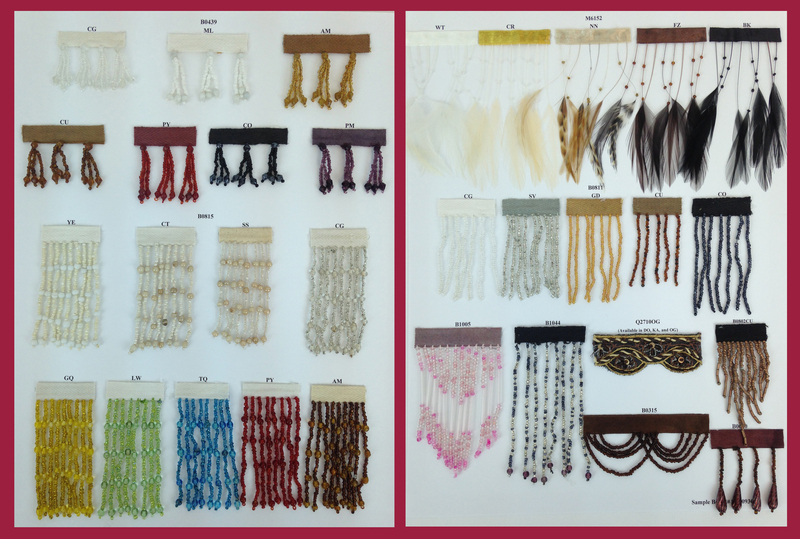 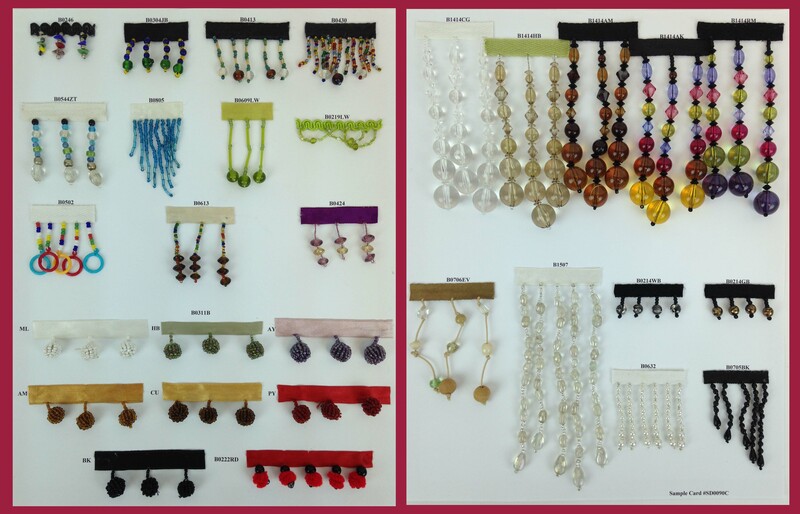 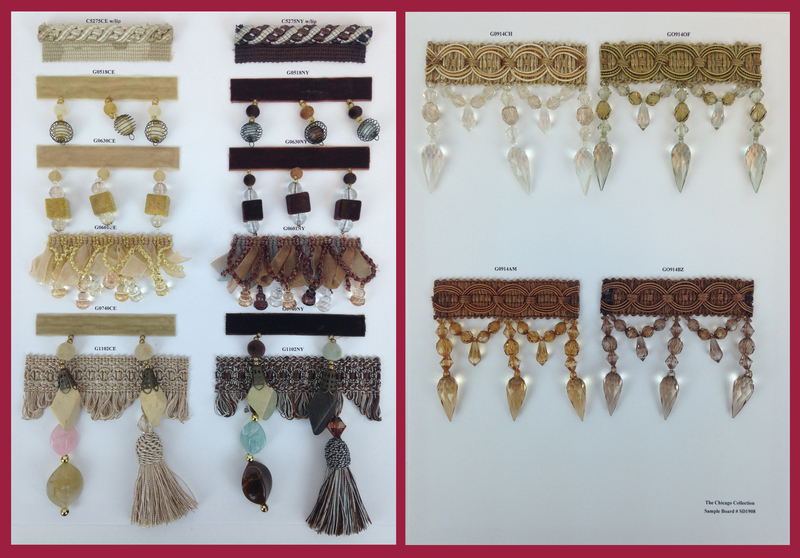 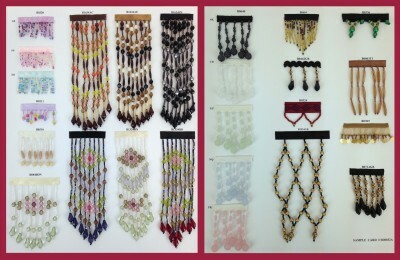 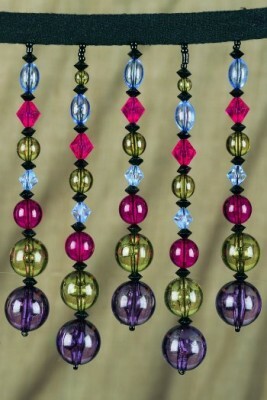 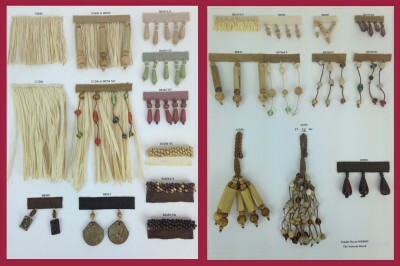 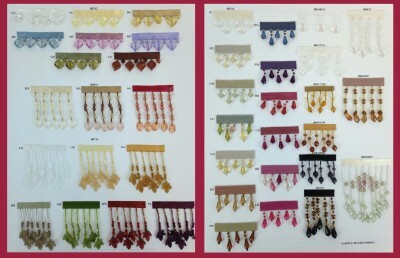 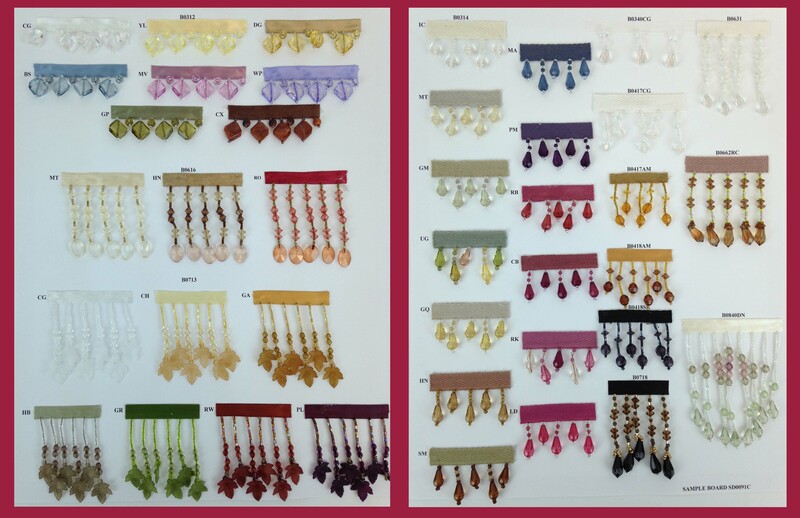 Our beaded trims are shown on the twelve different sample boards pictured below. 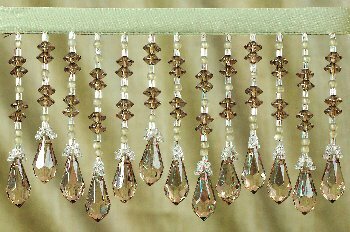 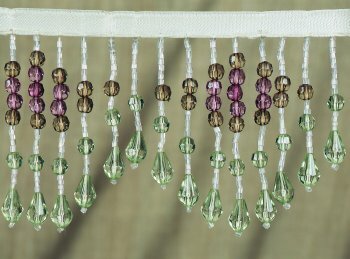 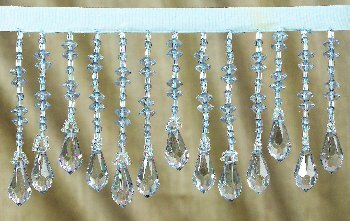 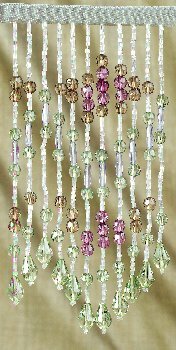 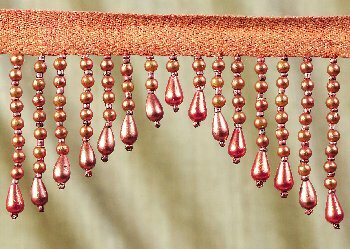 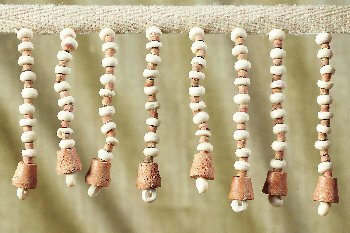 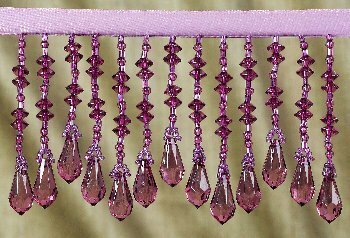 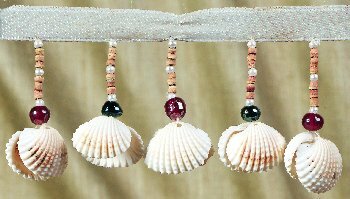 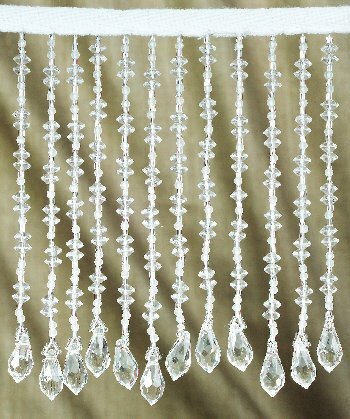 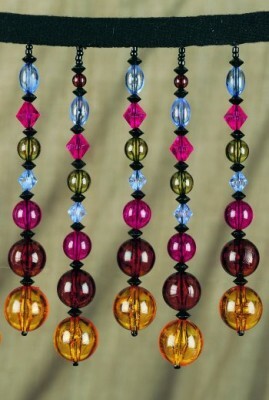 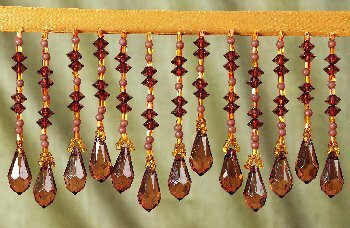 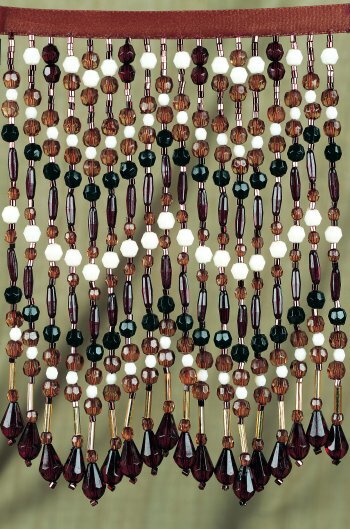 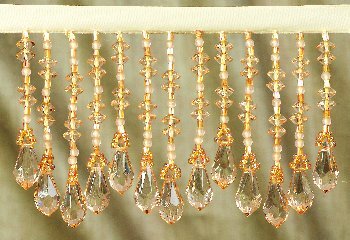 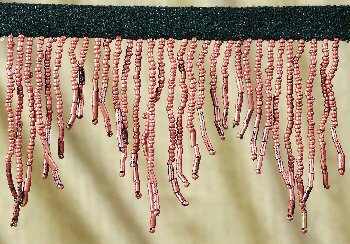 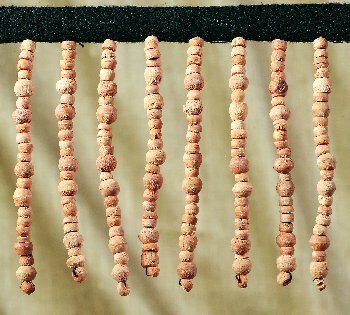 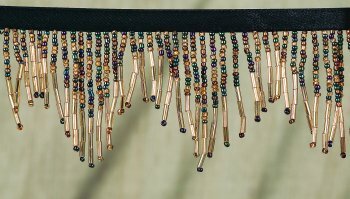 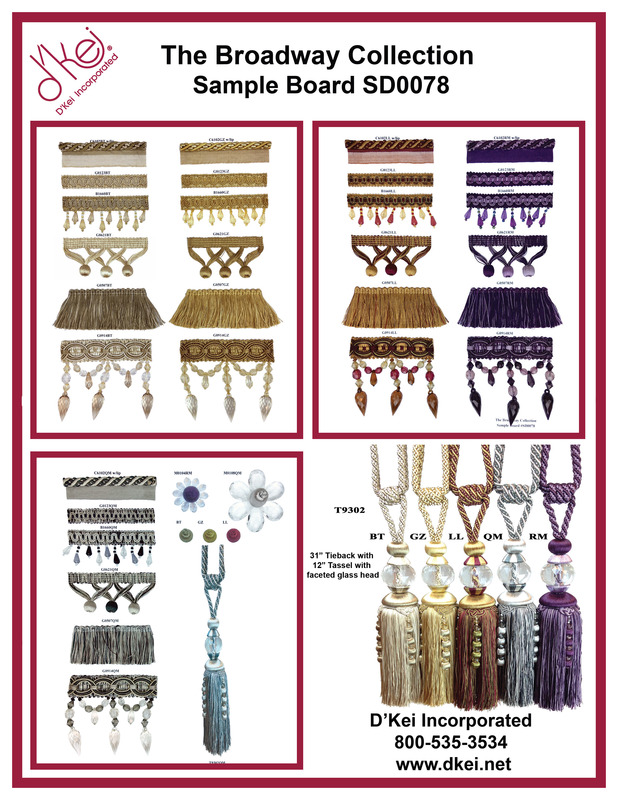 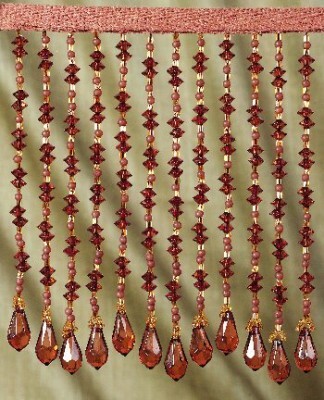 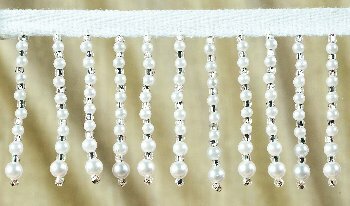 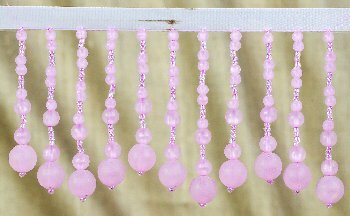 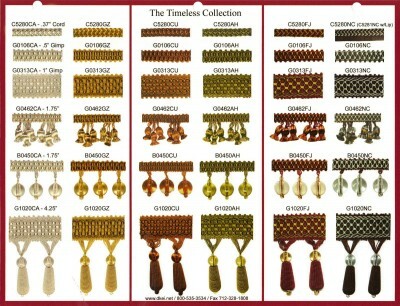 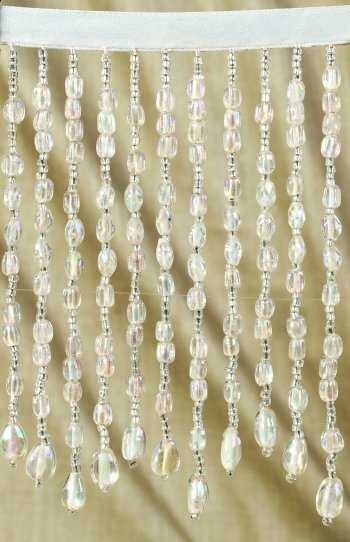 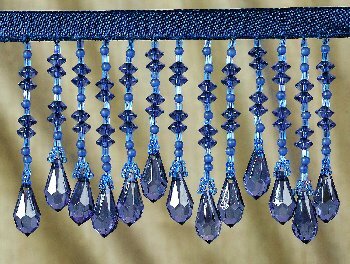 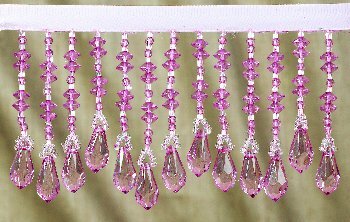 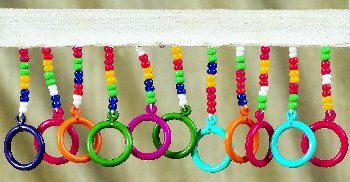 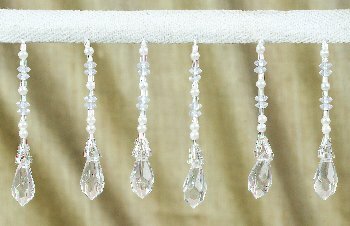 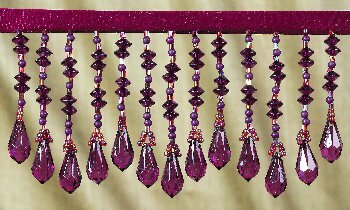 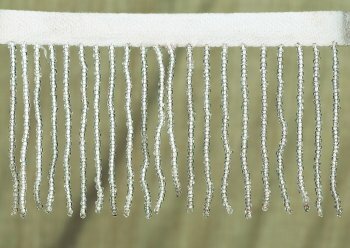 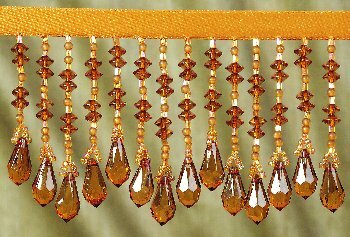 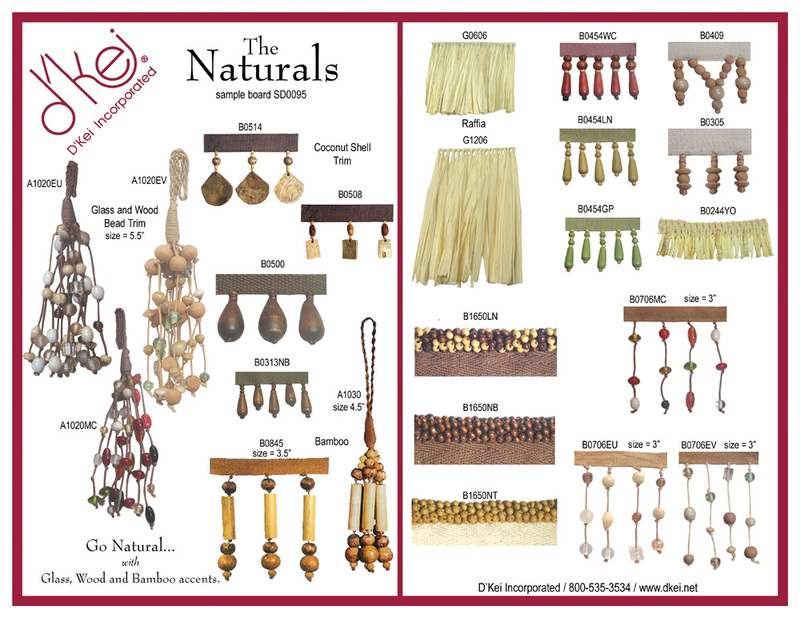 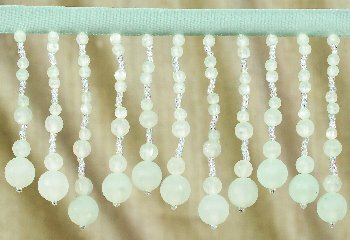 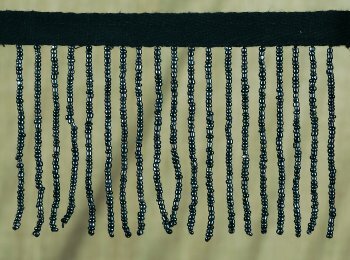 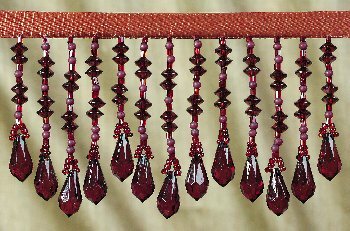 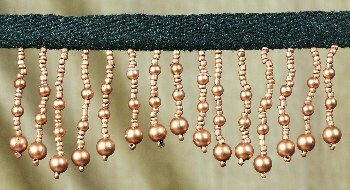 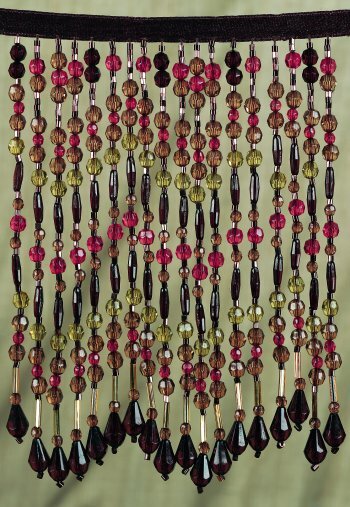 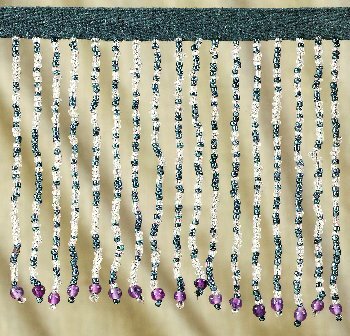 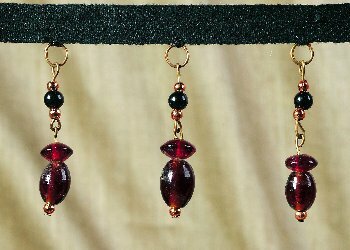 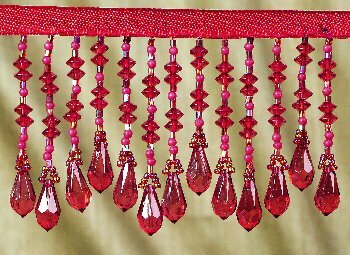 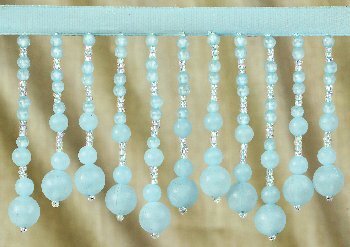 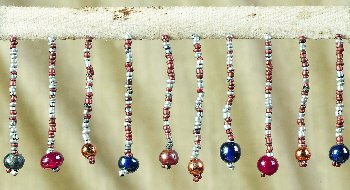 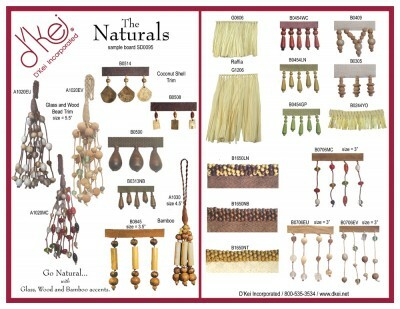 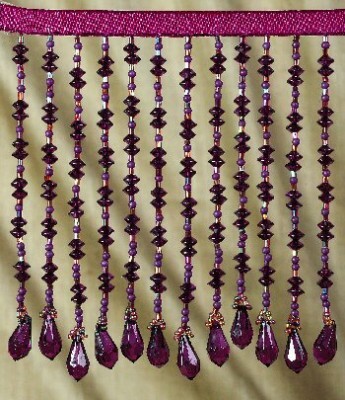 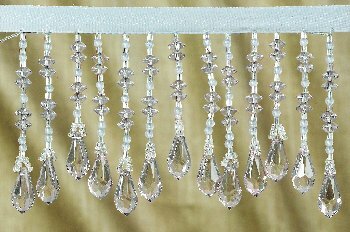 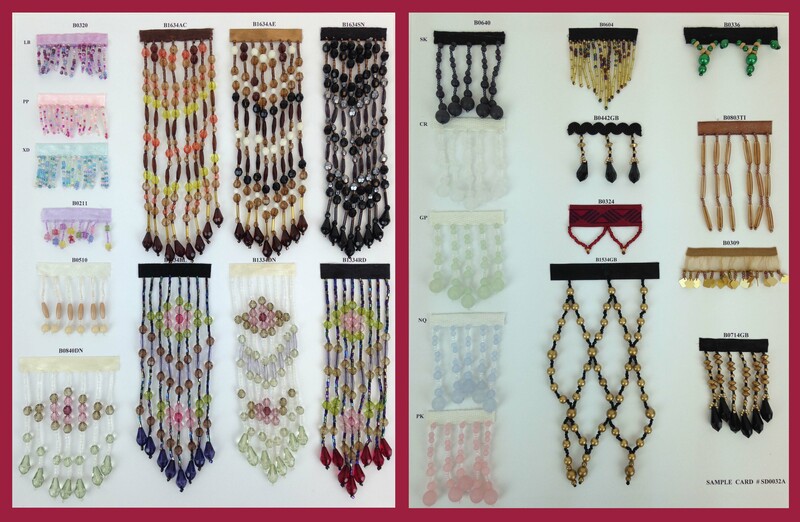 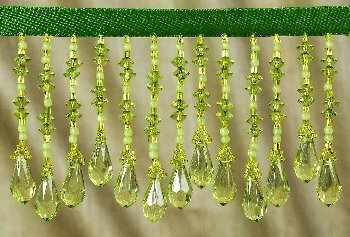 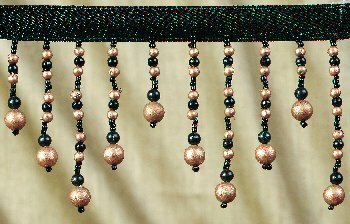 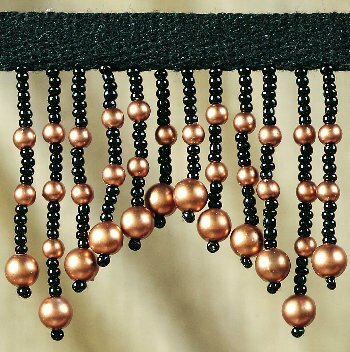 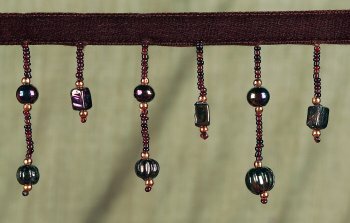 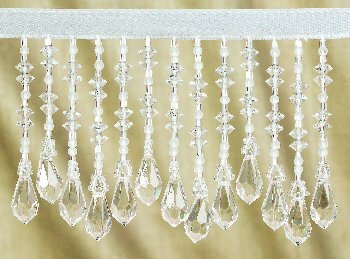 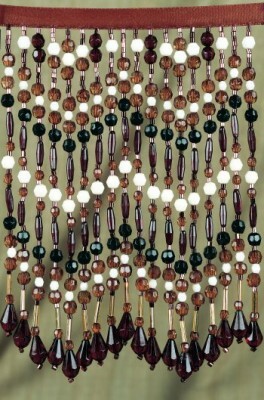 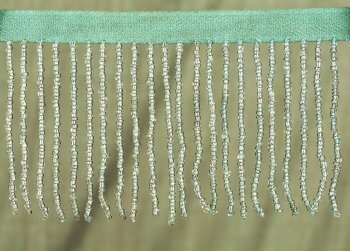 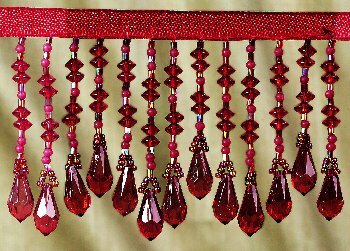 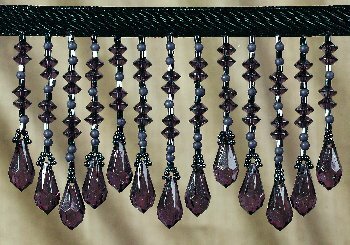 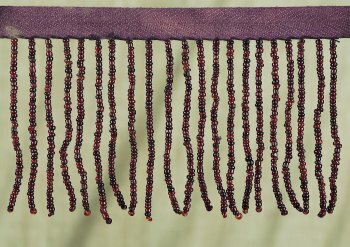 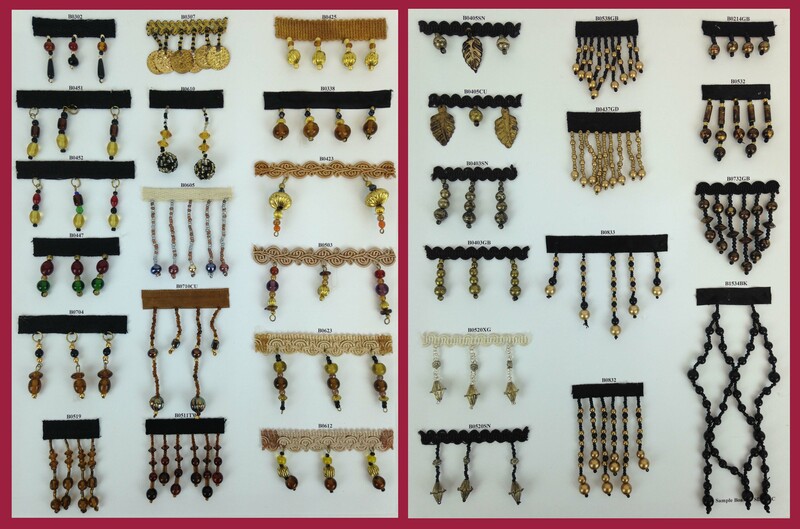 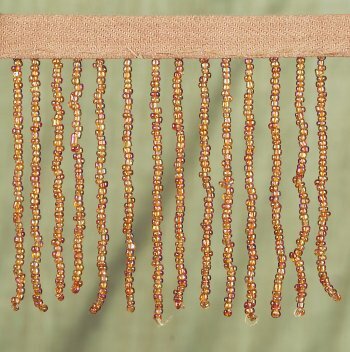 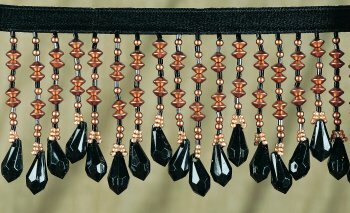 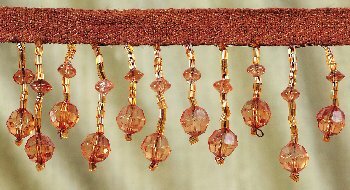 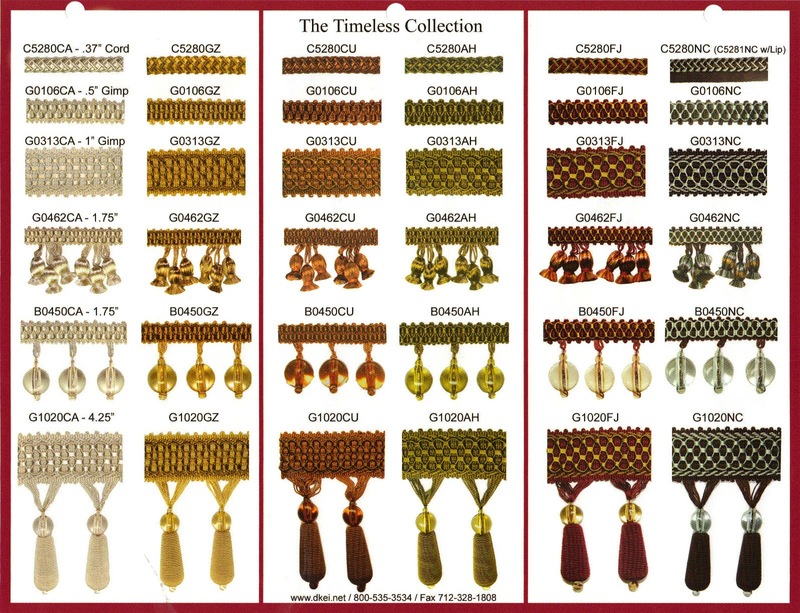 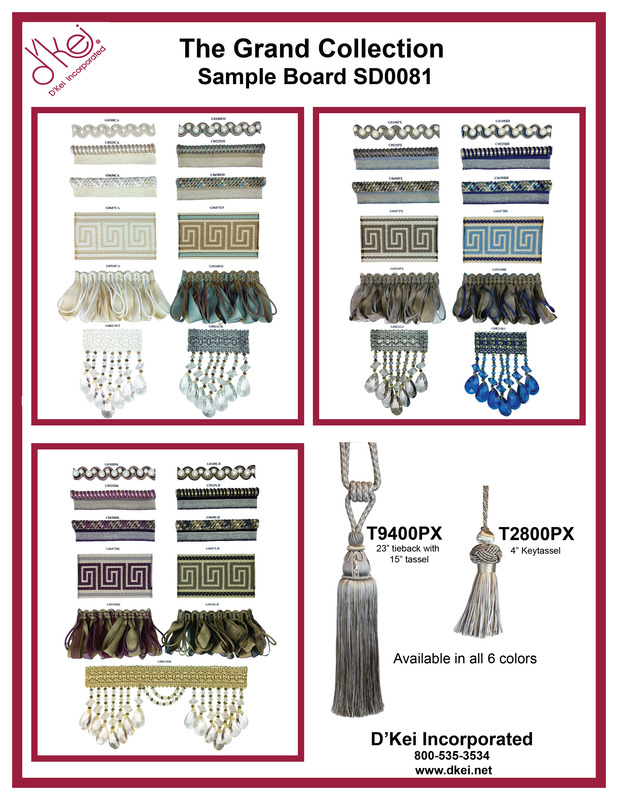 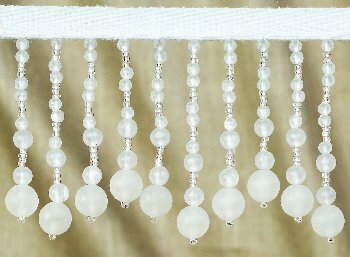 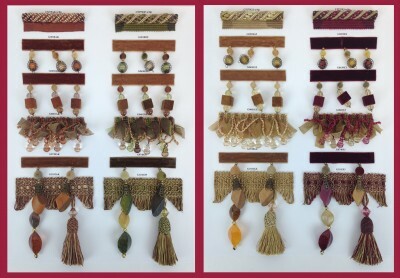 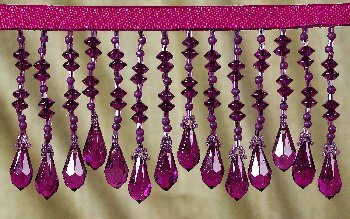 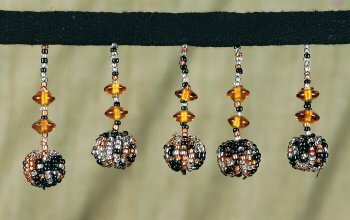 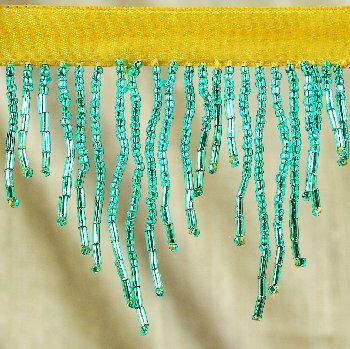 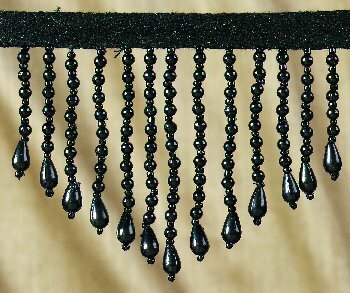 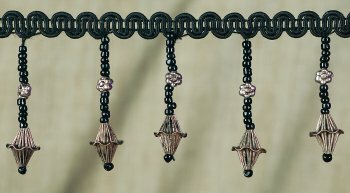 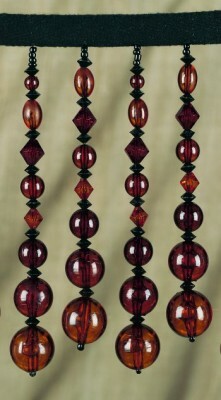 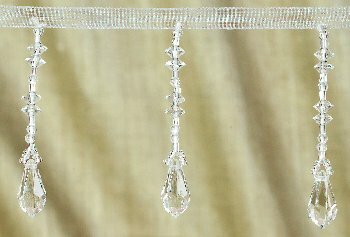 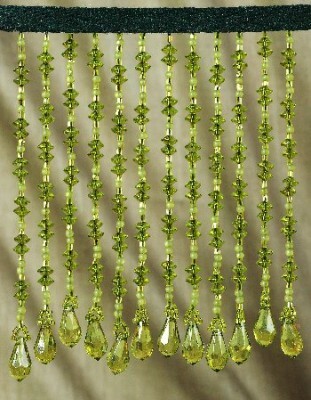 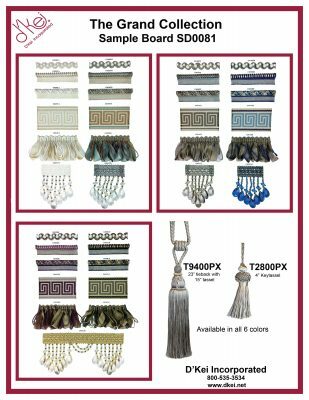 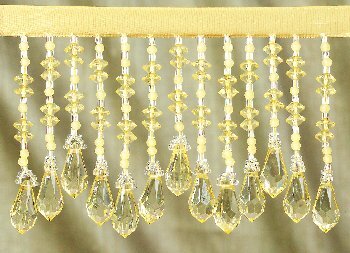 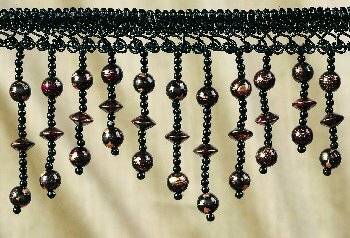 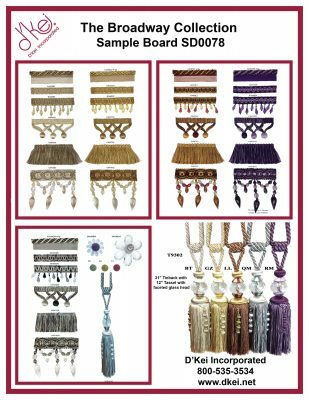 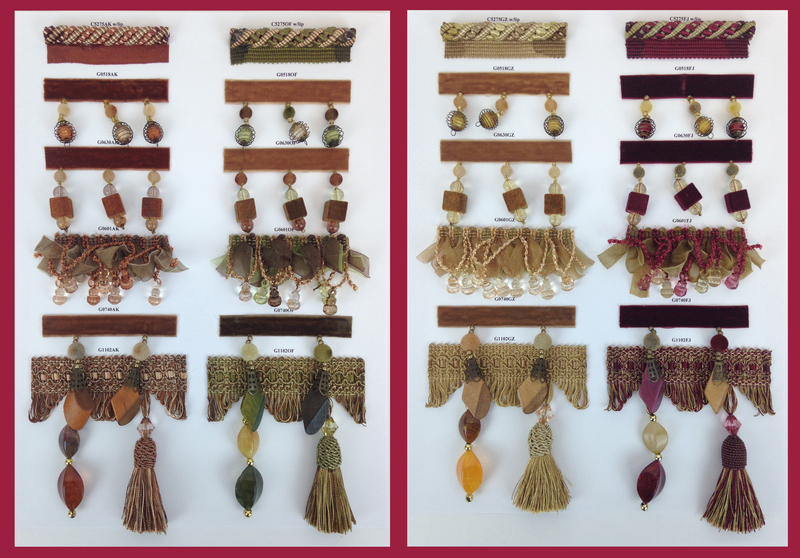 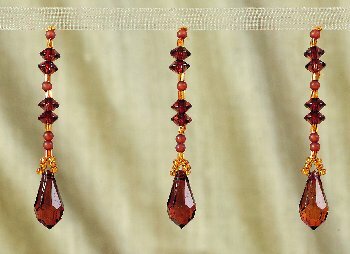 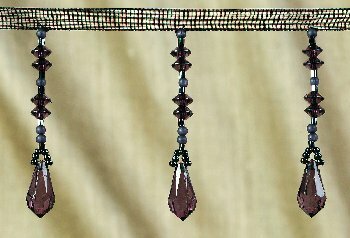 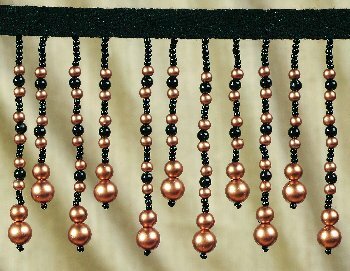 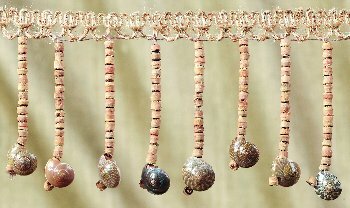 Our beautiful beaded fringe selection features long bead trim, short bead trim, acrylic bead trim, glass bead trim, wood bead trim, metal bead trim as well as unique natural elements such as bamboo trim, coconut shell trim and shell trim. 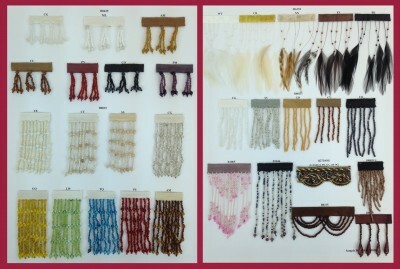 All Sample Boards Shown Below Available for Purchase.